Good credit habits will translate into lower interest rates and down payments and will help protect you from identity theft. This post comes from Jeanne Kelly at partner site Credit.com. It's that time of year when many of us start to think about New Year's resolutions. Chances are, you're thinking about losing the Christmas pounds gained from eating more food than you intended. Maybe you're thinking about other good habits like quitting smoking or visiting the gym a little more frequently. New Year's resolutions are all about improving yourself by adopting better habits. Why should it be any different with your credit? You already know how important your credit is (after all, you're smart enough to be reading about it here). So taking steps to improve yourself by improving your credit habits is a smart way to transform your year. I will learn my credit score from all three credit reporting agencies and I will use my newfound knowledge to handle my credit wisely, to pay less interest, and to have access to money when I need it. I will be proactive with my credit, aggressively taking positive actions that result in healthy credit and avoiding negative actions that result in unhealthy credit. I will establish my own credit so that I am not completely reliant on my spouse's credit. I will pay my bills on time and (if possible) in full to help maintain a healthy credit history. I will pay down my credit card debt to 20% of my credit limit (or less) to help keep my credit utilization low. I will pull my credit reports from each of the three major credit reporting agencies -- Experian, Equifax and TransUnion -- through AnnualCreditReport.com once every year and I will review them diligently to ensure that there are no errors. Further, I'll keep tabs on my credit and credit scores throughout the year using Credit.com's free Credit Report Card. I will educate myself about identity theft and work to prevent it from happening to me, and I will use my credit reports to help ensure that my identity is safe. I will apply for only the credit I need instead of the credit that is offered to me, because too many applications can hurt my credit scores. I will ensure that I use all of my credit wisely, keeping it active (although never more than I can afford) to help maintain good credit. If I need to apply for an important loan or mortgage, I will be conscious about when I apply for credit so that new applications won't negatively affect my score. I will work with debt collectors to eliminate any and all of my collections items. I will make 2013 the year that I am finally free of overdue debt. I will revisit the credit mix that I have and make sure that I have a good balance of installment credit and revolving credit, and I will open new accounts and manage them wisely to re-balance this mix. I will set aside a few minutes every day to educate myself about credit and debt, knowing that this investment of knowledge will pay dividends for the rest of my life. Choose the habits you want to adopt this year and mark them on your calendar. And as a bonus tip: Set reminders on Jan. 15 and Feb. 1 to stick with these resolutions, since those are the most frequent times of year when people drop their resolutions. If you stick with these resolutions, you'll develop better credit habits that can help you get access to loans, lower interest and down payments, and protect yourself from identity fraud. 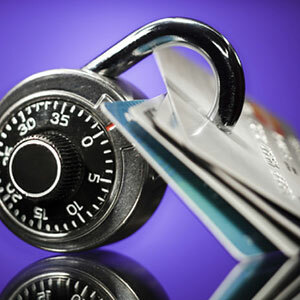 Start 2013 off on the right foot with proactive credit habits.